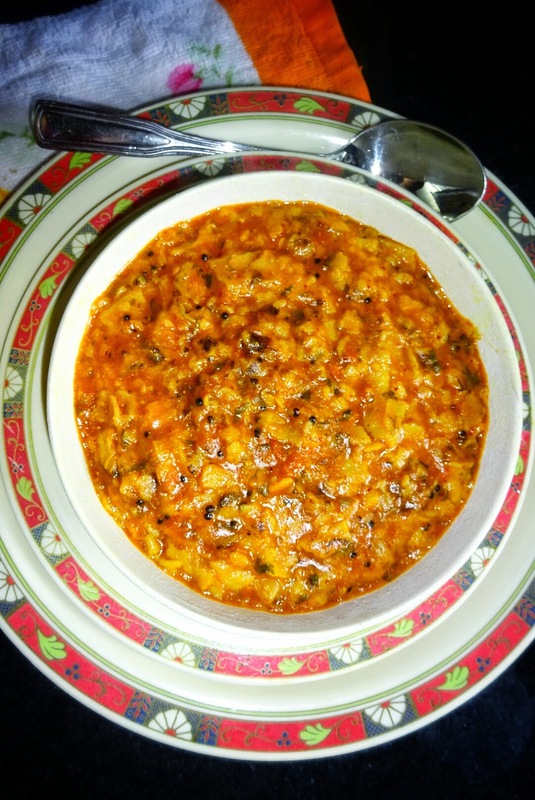 Seyal Mani is a Sindhi dish, which is usually dished up as a breakfast. This is mainly prepared from leftover Indian bread that is Pulka (roti /Chappati) but this can also be prepared from fresh chappaties. This dish is delicious and very healthy and one of the best use of leftover chappati. This is served with Sindhi Pappad. 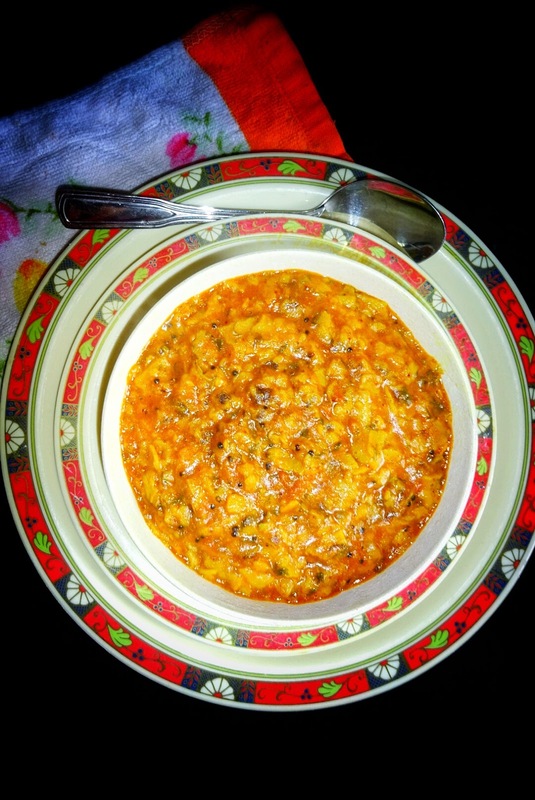 The word seyal means that the dish is prepared with onion, tomato gravy or garlic base with no water or just some water is used. Mani word used synonymously in Sindhi as it means chappati (roti) and it also means food (khana). 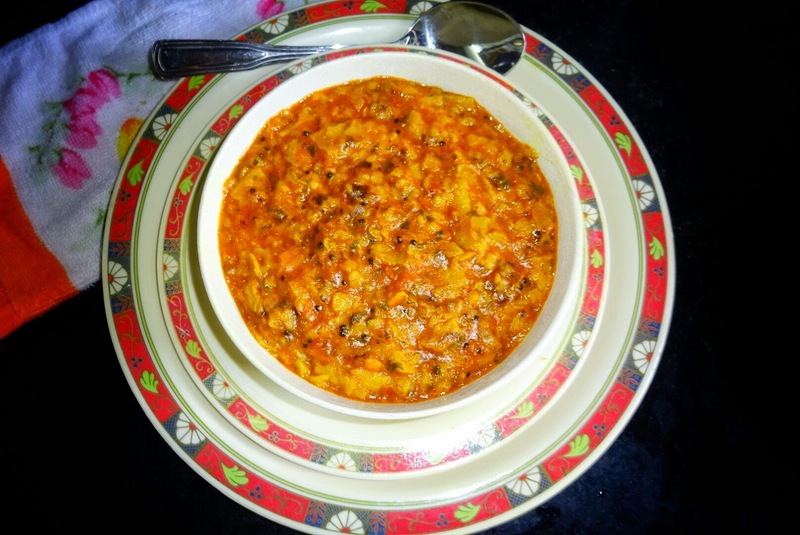 This is my version of seyal maani, as I love to try out and create recipes. 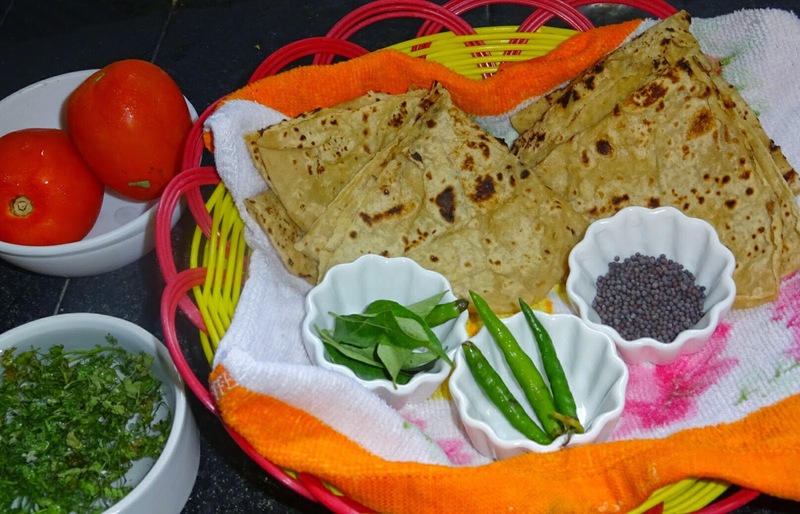 This recipe is not the traditional recipe as the traditional recipe of seyal mani is Chappati cooked in a green garlic sauce with tomato, good quantity of fresh cilantro leaves, spices and tamarind pulp). 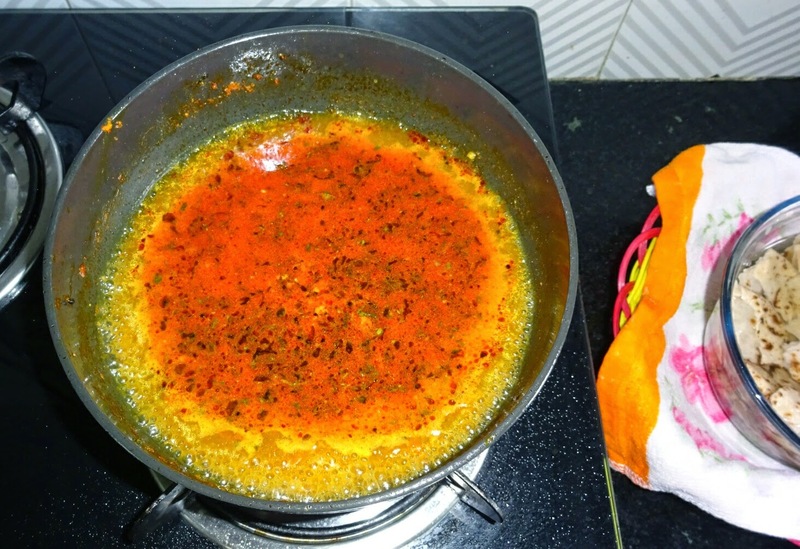 This recipe taste awesome when chilies are added in good quantity. ◾Break Roti in small pieces. Soak them in water for about 3-5 minutes. Remove from water, drain and set aside. ◾Finely chop tomatoes, curry leaves, cilantro leaves and green chilies or you can make a coarse paste. I prefer coarse paste for faster cooking. 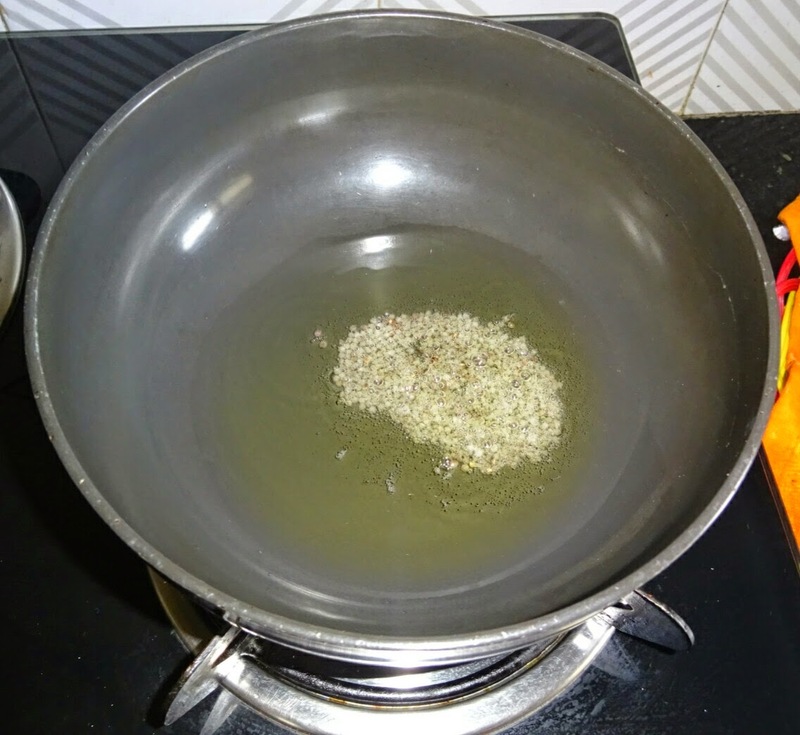 ◾Heat oil in a pan, add mustard seeds, let them splutter. ◾Add coarse paste of tomatoes, green chilies, cilantro and curry leaves. ◾Saute on high flame for approximately 2-3 minutes till water evaporates. ◾Then add all the dry ingredients mentioned above, mix well. ◾ Now its time to add 200-250 ml water. (Don't add water, which is used for soaking). ◾ When water starts boiling, add soaked chappaties. ◾Cook on high flame for about 3-5 minutes till roti is soft and water is fully absorbed. Keep stirring constantly to avoid getting to the bottom or simmer for 2-3 minutes. Your Seyal Maani is ready to dish out. This is served with pappad.